​​Is microchipping your pet painful? ​No more than receiving a vaccination. The chip is the size of a grain of rice. It's inserted under the skin with a syringe. This simple procedure may safe your pet's life. Collars and tags fall off, but a microchip is a permanent means of identification. Many amazing reunions happen thanks to this tiny invention. Every day reunions of dogs who have been lost for years or dogs who are found hundreds of miles from where they were lost are made simply because of this tiny life-saving device! A microchip is not a GPS. When it is scanned, a unique number appears, similar to a file number. The number corresponds with information you have provided the chip company. The chip is only as effective as the information you provide. Be sure to keep your contact information current - even if your pet has been missing for years. Many reunions are made months, even years later. Be sure the chip is properly registered to YOU and that your contact information is kept current. ​Do your research before having your pet microchipped. Choose a well-known company. Cheaper is not necessarily better. Your pet's life may depend on this one-time expenditure. We recommend using one of the five well-known companies - PetLink, Home Again, AKC, AVID or 24 Petwatch because they each have unique identifying prefix numbers which alert the person scanning as to which brand the chip is. 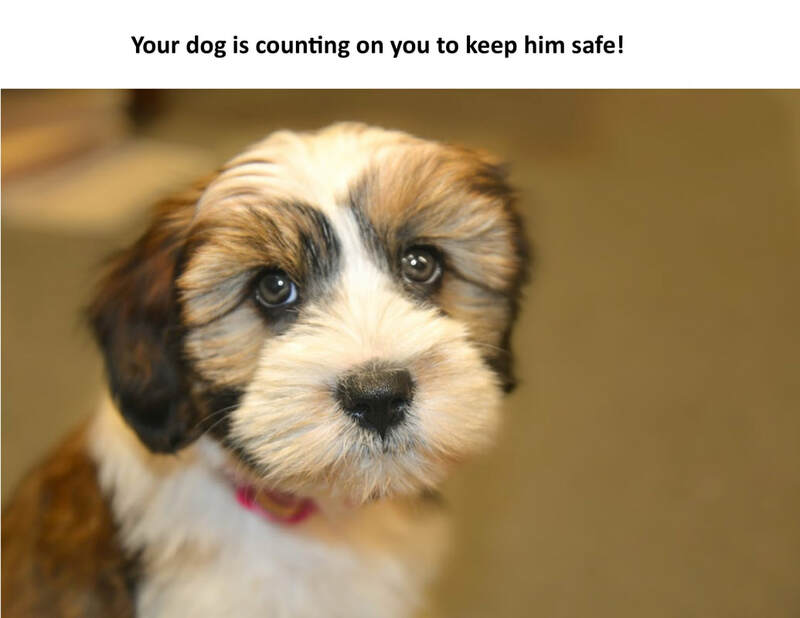 They will then provide the full microchip number to the company, who will be able look up your dog's file and give them with your phone number so you can be notified. We recommend against using a smaller unknown company with a "900" prefix because it will be difficult, if not impossible, for a shelter or vet clinic to determine which microchip company to call to access your dog's information. At this time there are 15 different microchip companies with "900" prefixes. Many of these small companies don't have 24/7 phone support. Shelter workers and veterinary clinic employees don't have time to make dozens of phone calls, and wait on hold, to determine which of these companies is the one your dog is microchipped through. The microchip number is useless if they're unable to identify which brand the microchip is. They will classify your microchip as a "dead end" and will be unable to contact you. Is one of the new smaller-sized microchips better? In most instances, no. They are often harder to detect with a scanner. Read more here: When it Comes to Microchips – Does Size Matter? Have the chip scanned immediately after it is implanted to verify the chip is working. ​Next, keep your pet quiet and as still as possible for at least 12 hours to allow the surrounding tissue to adhere to the chip to keep it from migrating. No walks or exercising the rest of the day. ​No baths or swimming for 24 hours. Keep the site clean and dry. ​No topical solutions for one week. ​As soon as you get home, contact the microchip company to verify that the chip is registered to YOU and that they have your correct contact information. Ask them to read your phone number back to you. Don't let a typo keep your dog from being returned to you. Provide a back-up phone number of at least one family member or friend who doesn't live in your home. ​Scan your microchip paperwork, or take a photo of it with your smart phone. Be sure to capture the chip company's name and contact information, as well as your dog's chip number. Email the information to yourself so you can easily access it even if you are away from home when your dog is lost. Dogs are lost from car accidents, home fires, and natural disasters. You can access your email even during an emergency, from wherever you happen to be. While your at it, take photos of your dog from all angles and include any identifying features. You'll need good, clear, current photos of your dog should he become lost. Include these photos in your email to yourself. ​Then, register your dog as "safe" through our partner, Helping Lost Pets. All you need to do if he becomes lost is to update him to "lost". This is extremely helpful to have done now, and will save you from searching for photos and entering information when you are panicked. Ask your veterinarian to give vaccinations in an area other than where the chip has been placed, so as not to puncture or damage the chip.